A deadly insect which has earned the nickname "silent killer" is spreading and has already infected millions around the globe. Already, the blood-sucking insect called the "kissing bug" has infected over 300,000 people in the United States with no signs of slowing. While it may sound like a hoax because of it's playful name, the kissing bug disease is very real. The official name of the kissing bug is "Triatonimine", it has earned its nickname because of its tendency to bite around the face and particularly the lips. According to the Centers for Disease Control and Prevention, the deadly insect is a parasite that causes Chagas disease. The disease is known to cause chronic heart disease in about one-third of infected patients, according to the American Heart Association. The bug spreads the disease with its bite the infection occurs when the insect's feces enter the skin through the bite itself and can also spread Chagas disease by coming in contact with the eye. Kissing bugs have been around for a long time. In fact, Chagas disease was first discovered in 1909 but they were likely around long before then. The renewed cause of concern over the deadly insect is because the American Heart Association issued a statement this week. The AHA said the reasoning behind releasing the statement was to "increase global awareness among physicians who manage patients with Chagas disease outside of traditionally endemic environments." The statement also noted the "risk of infection is extremely low for most travelers and residents of endemic countries." 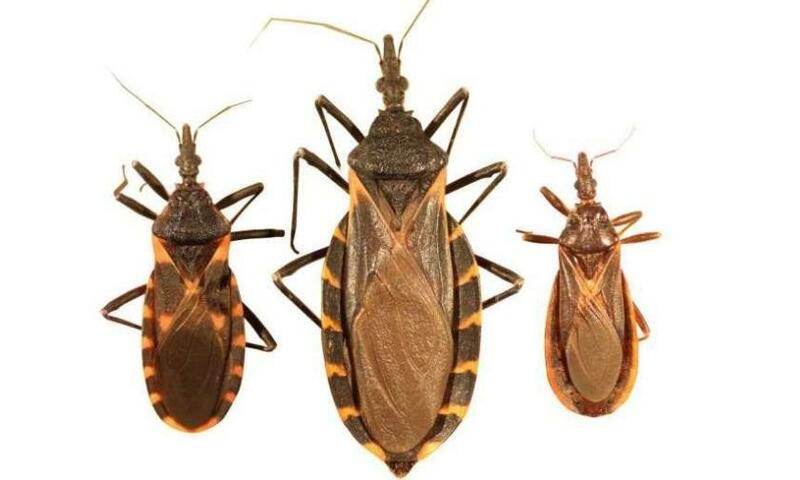 Previously conducted research on the kissing bug and the spread of Chagas disease found that it could take between 900 and 4000 bites from an infected insect to transmit the disease to humans.